As promised by HTC earlier, the smartphone maker is all set to release the Android 5.0 Lollipop update for its devices. 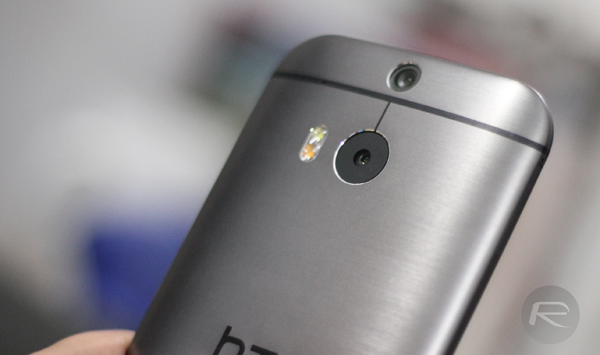 HTC is to push the update in 90 days after having gotten its hands on the source code today. Google has just pushed the Android 5.0 Lollipop source code to AOSP, which means that developers and manufacturers alike can now get their hands on it. And hot on the heels of this news, HTC has announced that Lollipop will be hitting the One M8 and M7 within 90 days. HTC now has the code, and HTC USA has announced via Twitter that fans can now set their timers to 90 days for some Lollipop treatment for their devices. Up till now, HTC has mentioned that the initial updates will be rolled out to the HTC One M7 and the One M8 flagship phones, while there is no official word on the rest of the devices. It is likely that One variants, like the One mini and the One mini 2, may join in quickly enough given the similarities. We have seen Samsung working hard on the Lollipop update for the Galaxy S5, and have gotten a sneak peek at Samsung’s take on Google’s Material Design language. What is HTC planning with its OEM software? We can’t be too sure right now, but it will be interesting to see the route HTC adopts for its design. HTC fans are rightly excited about the Android 5.0 Lollipop update given the new and revamped design of the entire OS which incorporates the much fabled Material Design, smoother and more physics-like animations, along with a bunch of interface changes and some major under-the-hood improvements and additions as well. While this update from HTC is more of a reminder, rather than an actual development, HTC is at least keeping its fans interested and giving them a deadline before which an update could be rolled out. For the more advanced HTC users, the fact that the AOSP source code is out, should be more of an exciting news, because this could consequently lead to AOSP custom ROMs for the HTC One M7, M8 and who knows, probably more. So when will my nexus 5 get this anyone..? ?